the butterflies, Lee Ann and I went up to see the precious stones. impressive and I wished that Josh could have been there. You could probably spend half a day just looking at their rocks. 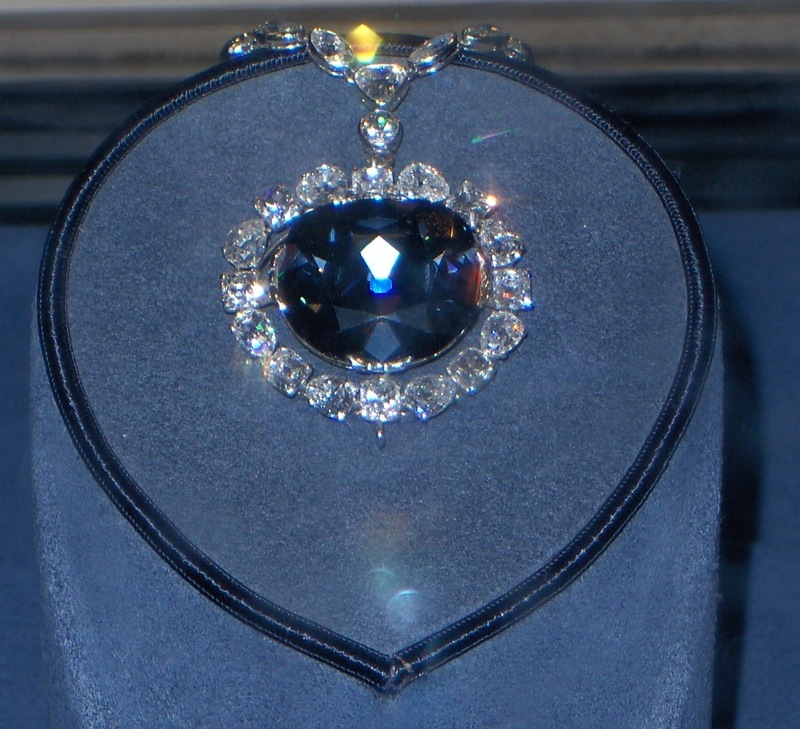 The Hope Diamond was the star of the show. It’s blue color surprised me. 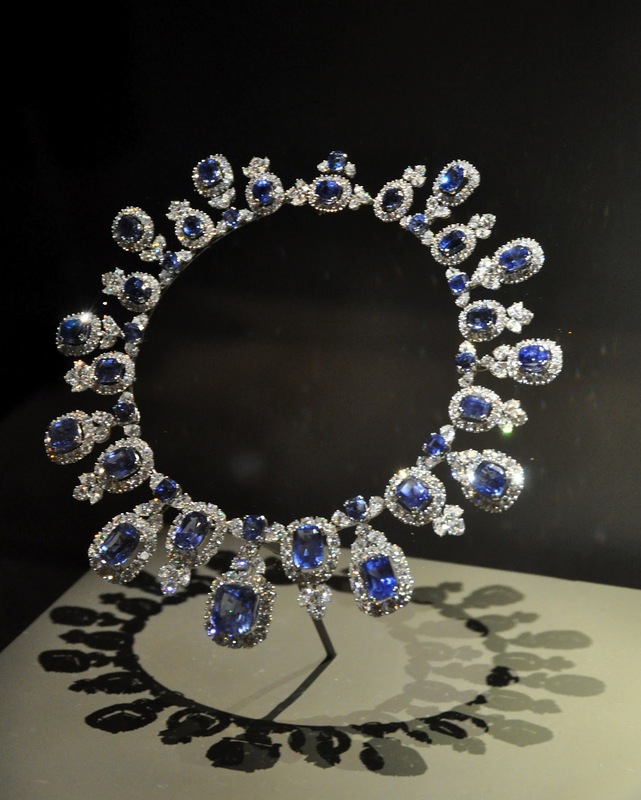 A sapphire and diamond necklace by Harry Winston – wow! 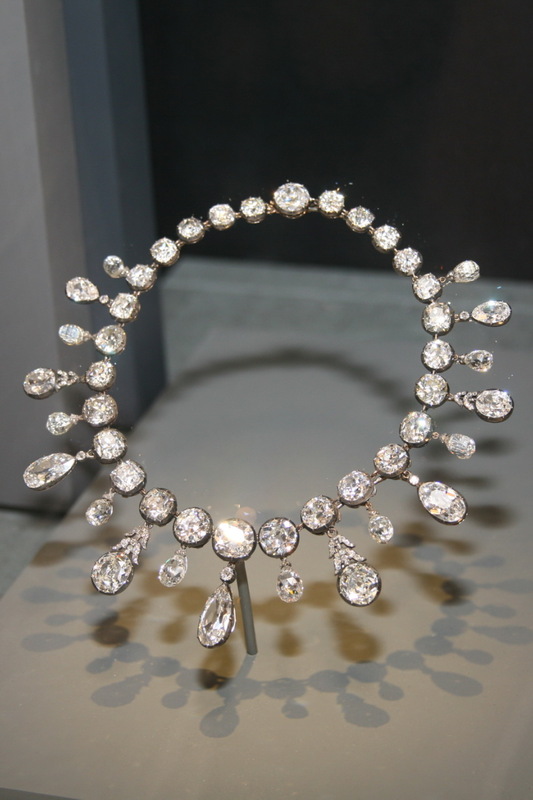 that Napoleon had made for Marie Louise. 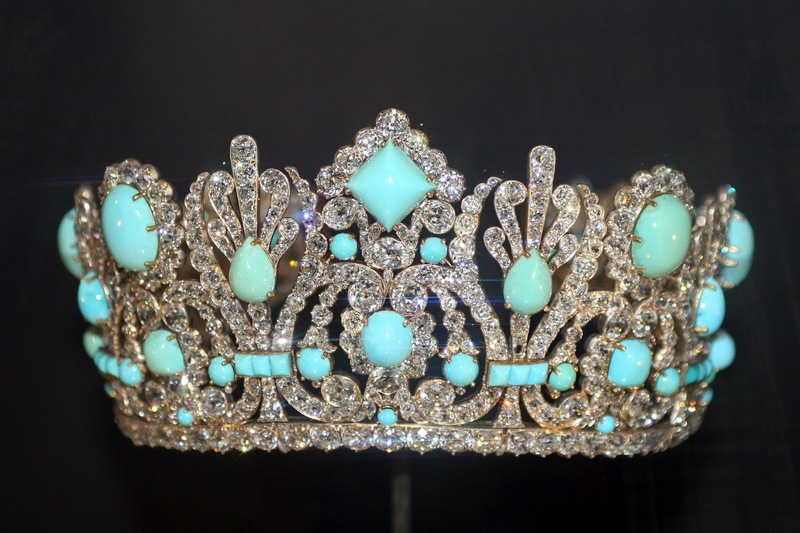 in the rock they were found in and some made into jewelry.. They showed how different impurities give the stones their color. same mineral they just have different impurities in them? And if they didn’t have any impurities they’d be clear? 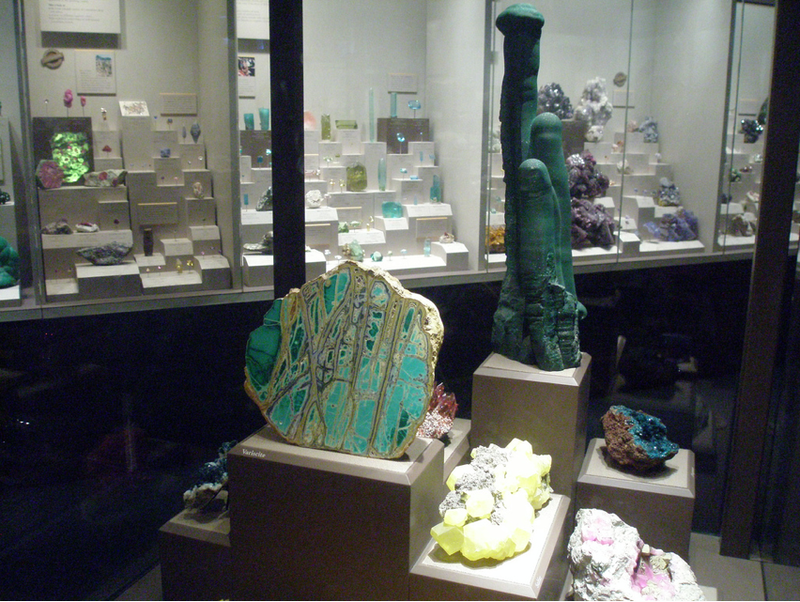 you can see much of their collections. 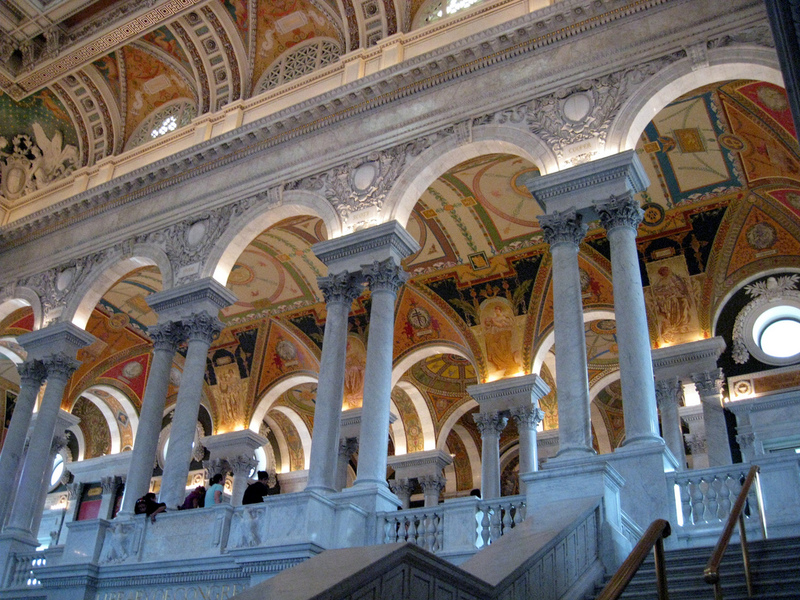 After lunch, we walked back up Capital Hill to the Library of Congress. well worth the trip. The hall is a work of art itself. 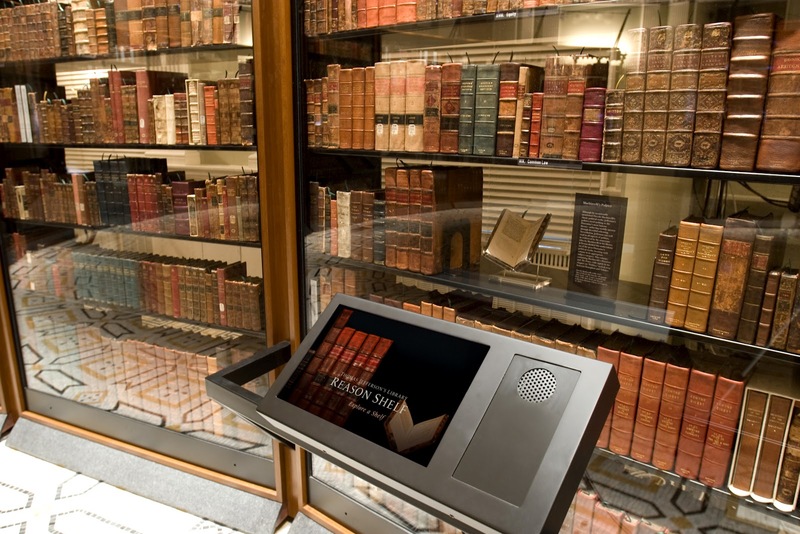 They have Thomas Jefferson’s Library on display. to congress after the British burned their first collection. Most of his collection also burned in a second fire..
working on collecting copies of his original books.